Today, I have a crime thriller in our book spotlight! Check out Five Knives, the prequel to the author's Will Finch Mystery series, learn about the author & enter the book tour giveaway at the end of this post! FIVE KNIVES welds the intensity of Jack Bauer’s “24” to the scorching heat of THE GIRL WHO KICKED THE HORNET’S NEST. When a man plummets to his death from an apartment tower, Will Finch’s shock soon becomes a nightmare. As he studies the open windows above the corpse, Finch notices a lamp blinking erratically behind a drawn curtain on the eleventh floor. 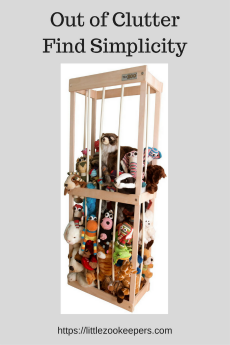 When he investigates the distress signal, Finch discovers a woman handcuffed to a bedpost. Over the following week, he uncovers a conspiracy that ties the murder to a series of bombshells. The victim’s bankruptcy. A global stock fraud. A murder spree that began in Baghdad and is now haunting the citizens of San Francisco. Is this the work of a serial killer, a copycat — or both? But before he can file his report for The San Francisco Post, Finch’s leads evaporate. Within days, three victims are dead. Does a pattern of five knife wounds provide a clue? Can he unravel the mystery before he — and his fiancée — are caught up in the web of murder? Five Knives is the prequel thriller in the Will Finch crime series — a novel that opens on the first day of Will Finch’s journalism career. Everything that Finch learns about crime reporting begins with Five Knives. 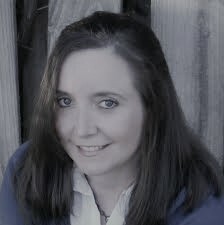 An Amazon bestselling author, D.F. Bailey is a W.H. Smith First Novel Award and a Whistler Independent Book Award finalist. In 2015 D.F. Bailey published The Finch Trilogy — Bone Maker, Stone Eater, and Lone Hunter — three novels narrated from the point-of-view of a crime reporter in San Francisco. Second Life (2017) is the first in a series of stand-alone books that follows the characters established in the trilogy. 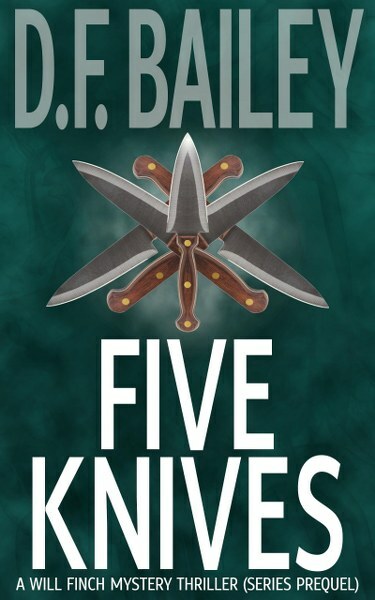 The series prequel, Five Knives, came out in 2018. His first novel, Fire Eyes, was optioned for film. His second novel, Healing the Dead, was translated into German as Todliche Ahnungen. The Good Lie, another psychological thriller, was recorded as an audiobook. 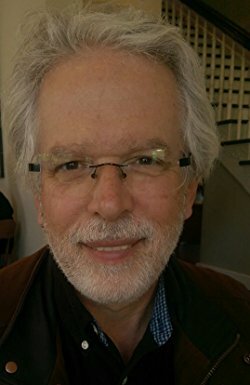 A fourth novel, Exit from America, made its debut as an e-book in 2013. Following his birth in Montreal, D.F. Bailey's family moved around North America from rural Ontario to New York City to McComb, Mississippi to Cape May, New Jersey. He finally "landed on his feet" on Vancouver Island — where he lives next to the Salish Sea in the city of Victoria. For twenty-two years D.F. Bailey worked at the University of Victoria where he taught creative writing and journalism and coordinated the Professional Writing Cooperative Education Program — which he co-founded. From time to time he also freelanced as a business writer and journalist. In the fall of 2010 he left the university so that he could turn "his pre-occupation with writing into a full-blown obsession."